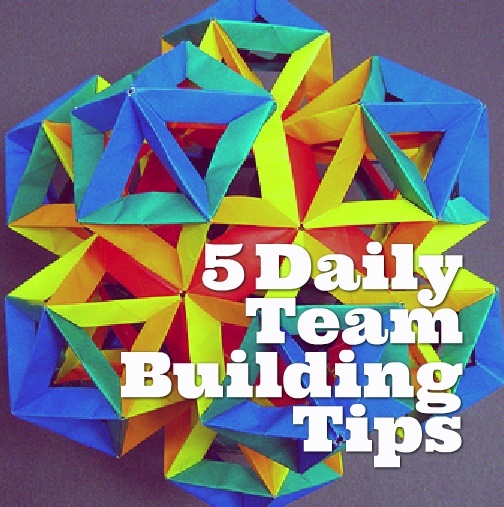 Form a cohesive team through team building exercises. What comes to mind when you hear someone discussing their team? It’s easy for people to relate to terms like teams and team building when discussing sports, but the concepts become less clear when we take those same terms and apply them to people in organizations. Is your organization known for working together as a team? Former Denver Quarterback Tim Tebow became an overnight sensation for his unique yet down home approach to football. In a world where the mere mention of religion in public settings is taboo, he has demonstrated his religious gratitude by praying in public. Many would agree he is not the best quarterback in the NFL, but he acknowledges teamwork as a reason for his success. By definition, a team is a group of people who are dependent upon one another to accomplish specific goals, who share in the outcomes for those goals, who are viewed as one entity by others and who manage relationship building across organizational boundaries. While teams are made up of groups of people, not all groups of people are teams. A group of engineers, for example, working in the same unit are not considered a team because their work is not dependent upon one another nor do they share in each other’s outcomes. Are your employees a group of people doing a task or are they a team working towards a common goal? There are four types of teams with the most common being work teams. The remaining three teams include parallel teams, project teams, and management teams. Do your employees clearly know and understand the type of team they participate on? 1. Purpose – In order for teams to be successful the team members have to know why the team was formed in the first place. In sports, team members work together for one specific goal – to win. Organizations build teams to help solve specific problems such as reducing costs, improving productivity and improving quality. What is your team’s purpose? 2. Participation – Highly paid athletes are often criticized for their salaries, yet many feel the salary is in direct relation to the player’s skills. The athlete wants to play their sport as much as they want to win. In organizations, team members are often hand-selected based upon their skills, yet a few are compelled to be on a team for fear of retribution if they say no. Team members are more effective when they feel they have something worthy to contribute rather than when they feel obligated. In other words, there needs to be team spirit. How are your employees’ contributions recognized? 3. Communication – In an age where people are connected 24/7 through cell phones, the internet and social media, it should be relatively easy to communicate within another. In order to be successful, team members need to agree on how often they will communicate with one another and the vehicles they will use to communicate with. Team members should be able to challenge others’ ideas while being respectful at the same time. What strategies does your team practice to ensure they are communicating at all times? 4. Strengths – In sports team members are hired for their skills and how one person’s skills compliment the rest of the team. In organizations, individual team members should be selected based upon their strengths (as well as skills) as a way to compliment others’ weaknesses. Are your employees positioned on a team based upon their strengths and how these strengths compliment other members? 5. Group Dynamics – Small teams, those between two to nine members, have advantages of being able to interact easily, communicate or share information, stay motivated and see the importance of their individual contribution to the overall team. Large teams, those consisting of ten or more members, have advantages as well. They often have the experience, skills, knowledge and resources to accomplish goals more quickly. Large groups are able to split up the work more easily, whereas this task is difficult to manage in smaller groups due to a lack of (or limited) resources. A disadvantage of large groups is their inability to communicate or coordinate functions as they tend to get bogged down in processes. Does your organization embrace and support small or large teams? 6. Agreement – Team members will adhere better to rules they create. How much time will each member be allowed to discuss a point on the agenda? Who will be the note taker (or how will this activity be rotated)? What is the role of the note-taker? By establishing rules upfront, it will be easier to point out when someone ignores the rules. 7. Team Effectiveness – In soccer, a team’s effectiveness is measured by its ability to qualify for the World Cup. In theory, the team who advances to the playoffs should be the team whose members worked together cohesively for the common goal. In an organization, a team’s effectiveness is measured by performance, outcomes and attitudes. A team that meets its goals clarified in onset produces outcomes that can be implemented and measured, and maintains a healthy attitude during the process is an effective team. Is your team focused? Oftentimes, management will create teams that work. Occasionally, no matter how hard they try, teams are ineffective or disastrous. In those cases, management needs to identify the source of the problem quickly. If the wrong person is on the team, replace them immediately. If the team doesn’t feel empowered put methods in place to empower them. Finally, there are numerous team building activities available for team members to break through barriers. The section on 'TEAM BUILDING BLUEPRINT' is an excellent read. You made several solid points and this article will undoubtedly be helpful to both employees and employers alike. I've taken the liberty of forwarding this link to my colleagues and I know that everyone will find this very useful. Excellent read Carol! I own a small business with my siblings and we manage 10 other employees. We were talking about holding a 'team building/get to know one another better' day out and I think that if all goes well, I'll recommend the steps you wrote about to the organizers. Thanks again! 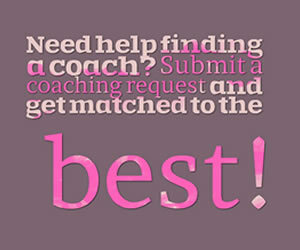 Choose a Top Coach for team building	success today! 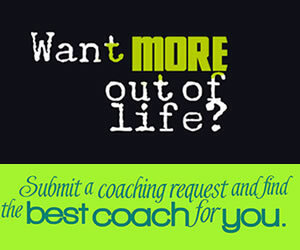 Kelly N Fidei PhD, PCC, PCCC, ORSCC, SCC I coach talented people who are ready to grow. What do you truly want? Let's make that happen. Zandra Ross iCF ACTP, CPTS RPT Personal & professional development coach who specializes in lifestyle, leadership & fitness. William Walker Men's Leadership Coach I help men become more soulful, purposeful, impactful leaders. Matthew Walley Certified Mindset Coach I am passionate about helping people get what they really, really want! Andrea Lopes MSW,. Life Coach Owner of Counseling and Wellness Center, Life and Business Coach. How Does That Benefit You?